By Xah Lee. Date: 2013-02-14 . Last updated: 2018-09-26 . 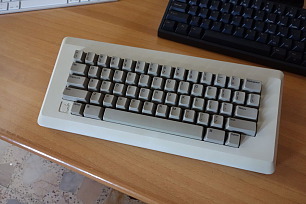 Do older keyboards have Ctrl key at the position to the left of A? The ↓ key is capslock. 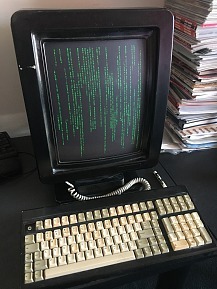 Digital Equipment DEC VT52 Terminal, 1975. We have Ctrl Caps Lock A in the same row, in that order. DEC vt100 keyboard layout. Source: VT100 User Guide, Digital Equipment Corporation, EK-VT100-UG-001 (1978). It has Shift Lock besides A. Its Control key is at the PC keyboard's TAB key position. All Apple II series (started in 1983) have Ctrl besides A. All Apple Macintosh series (started in 1984) have Caps Lock besides A. 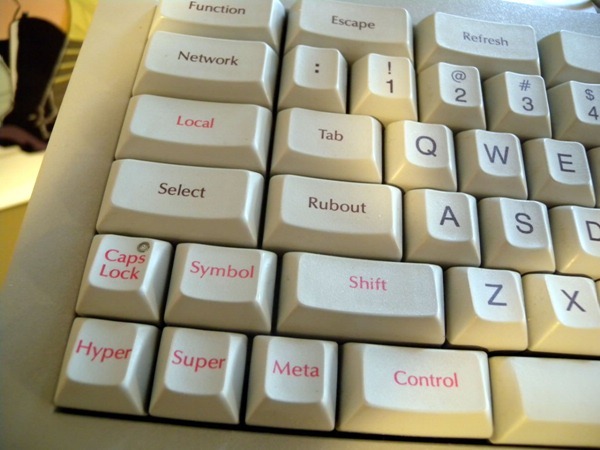 All Lisp Machine Keyboards have Ctrl on the left of space bar. The Caps Lock is somewhere on the lower left corner. The IBM PC AT (1984), some of its keyboard has Caps Lock besides A, some has Ctrl besides A.
TRS-80: it depends, usually Ctrl next to A, Caps (if it has one) bottom Right. This is false. In fact, the first IBM PC's had the Ctrl key to the left of the A. Later on, IBM released the IBM PC/AT with a Caps Lock favored keyboard. Other people blame Microsoft because they pushed all those other useless keys on the world. There is also a bit of a myth that the old mainframe keyboards were consistent in putting the Ctrl key to the left of the A. Actually, the original PC keyboards were the anomaly. Prior to the PC most printing and display terminals had the Caps Lock in the position where it is today. 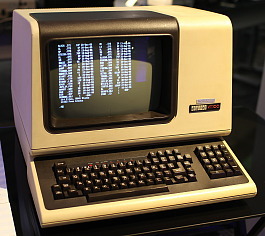 This includes classics such as the DEC VT52 and VT100 terminals; IBM data display terminals such as the IBM2741 and IBM5253. 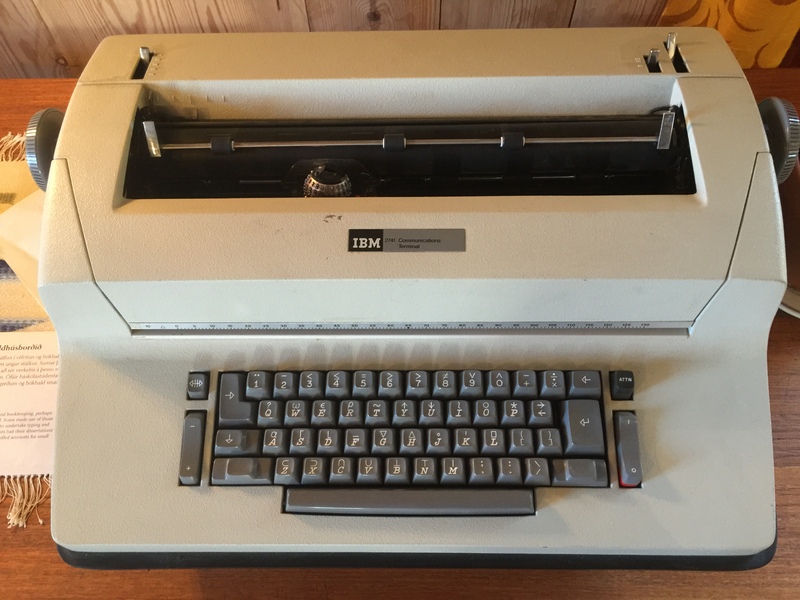 Many of IBM's early small computers that predate the IBM PC had a mix of keyboard styles. 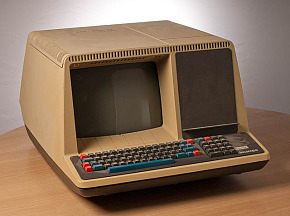 Many non-PC personal computers of the time had the Caps Lock to the left of the A: TRS-80, BBC Micro, Osborne 1, Commodore Vic-20, and Commodore C=64. 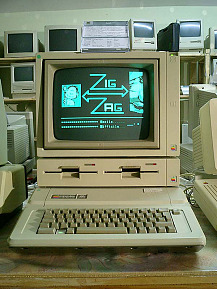 The Apple II series had the Ctrl key in the proper location to the left of the A key, but sadly, the original Macintosh did not — it was afflicted with the Caps Lock (and this was before the IBM PC/AT went to the Enhanced keyboard). The Atari computers had the proper Ctrl key, but their keyboards were horrible membrane things. The BeBox had Caps Lock; Next had Ctrl.